How do I get rid of the Action Links on my Search Results Page? 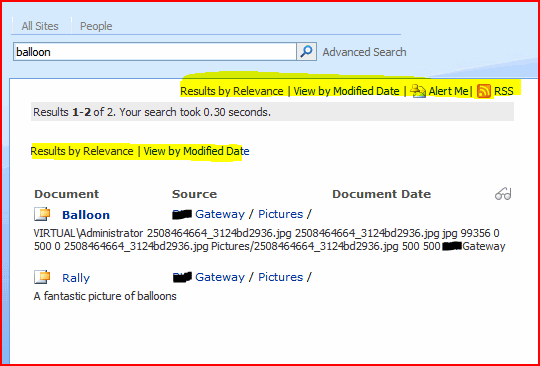 So I opened up my search page in SharePoint Designer. This always looks a bit cluttered, but I went to my Core Search Results Web Part to modify it’s ShowActionLinks property. I’ve scribbled on this to highlight the obvious web parts on the page. The Core Results web part is highlighted in cyan. Anyway, if you look at the code in the top of the screenshot you can see that the ShowActionLinks setting is already False. Eh? 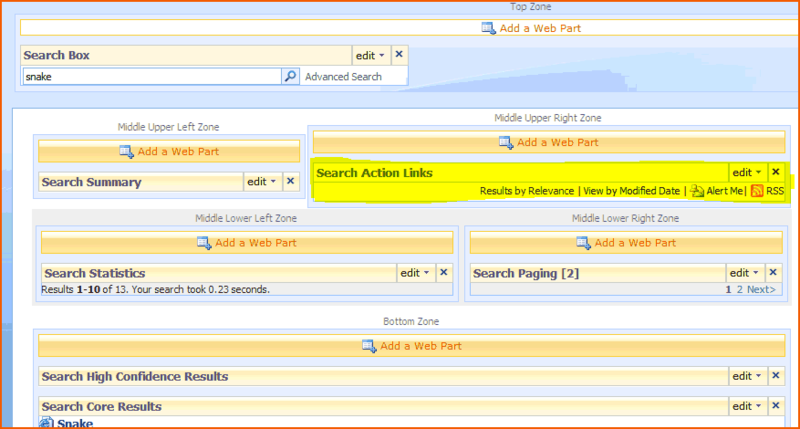 That’s right, there is a second Core Results web part, which is nearly invisible in the Design view of SharePoint Designer. This web part’s XSL doesn’t actually process the Results nodes of the search results – so it doesn’t show any results (which kind of belies it’s name as the ‘Core Results’ web part). Instead, it just shows the action links. I deleted that web part from my page, and the action links vanished. I guess the question that this leaves is why are the action links not in their own web part? After all, it’s not called the ‘Core Results and Action Links’ web part is it? It rather appears that they would nicely sit as their own web part.